Homecar industryElectric vehiclesRenewable energyHow To Take Advantage of the Growth in the UK Electric Car Market? 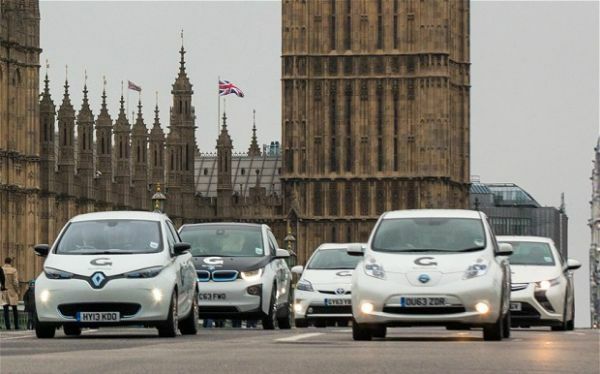 How To Take Advantage of the Growth in the UK Electric Car Market? One of the most successfully proactive ways we’ve gone about combating the ongoing damage being done to our environment through unsustainable energy use is via the development and implementation of electric vehicles. With automobiles contributing so heavily to greenhouse gas emissions and the price of traditional fuel climbing consistently, there has never been a more practical time to enter the electric market. Not only a sound investment opportunity where vehicles are concerned, but business, too, there is more than one avenue to explore if making the most from renewable clean energy is something that intrigues you. Not only is the market changing, but our road laws are, too. With high emissions vehicles being taxed more on top of their increasing running costs, and the introduction of further congestion zones coming in to effect across the UK, driving less fuel efficient and environmentally friendly vehicles is only going to become more expensive. Having signed up to various international climate deals and treaty’s, too, the pressure from the government to convert to more efficient vehicles is only going to rise in the years to come. With companies like Tesla exponentially boosting the profile of electric vehicles and pushing them further in to the zeitgeist, they have suddenly gone from being seen as fringe vehicles or function over form to the latest must-have gadget, with their street-cred taking a giant leap. With the sector going from strength-to-strength across the board, there’s value in getting involved while the boom is taking place, taking advantage of what is still an emerging market while there is opportunity to establish yourself before a natural saturation point is reached. If you’re looking for a new business venture, opening a dealership that specializes in both new and used electric vehicles may present an ideal niche. While the type of car that people are buying for personal use is changing, the fact that people are still buying cars isn’t – so when we come to the eventual tipping point where electric power begins to outstrip their fossil fuelled alternatives, a dealership of this nature would already be well ahead of the game. People will still be looking for models at different entry costs, so stocking used models from the likes of Toyota and Nissan - who manufacture the ever-popular Prius and Leaf respectively – will be certain to increase trade, with the majority of major manufacturers now offering their own dedicated lines of hybrid models. BMW are perhaps at the forefront of the luxury hybrid market, with Tesla still carving out a space for themselves in the UK market, increasing brand recognition and awareness by the day.